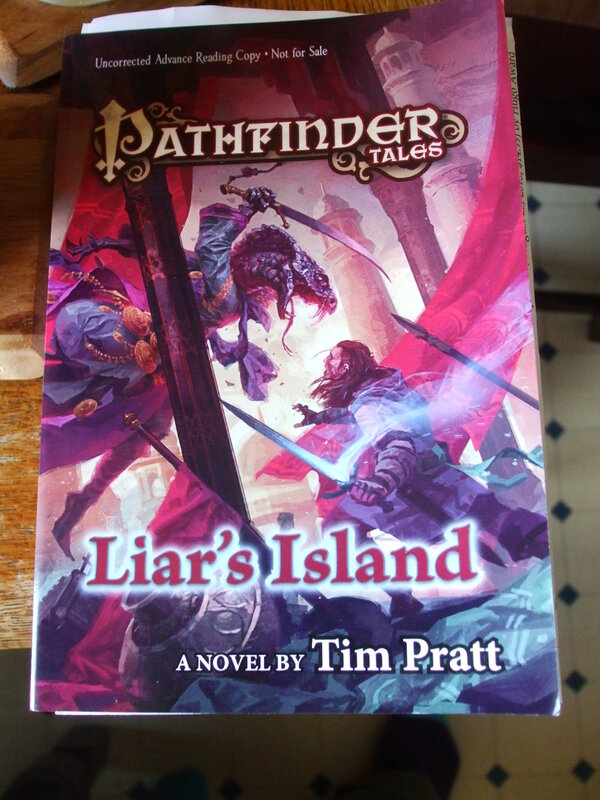 Courtesy of Tor Books, Tim Pratt, PATHFINDER: LIAR’S ISLAND. 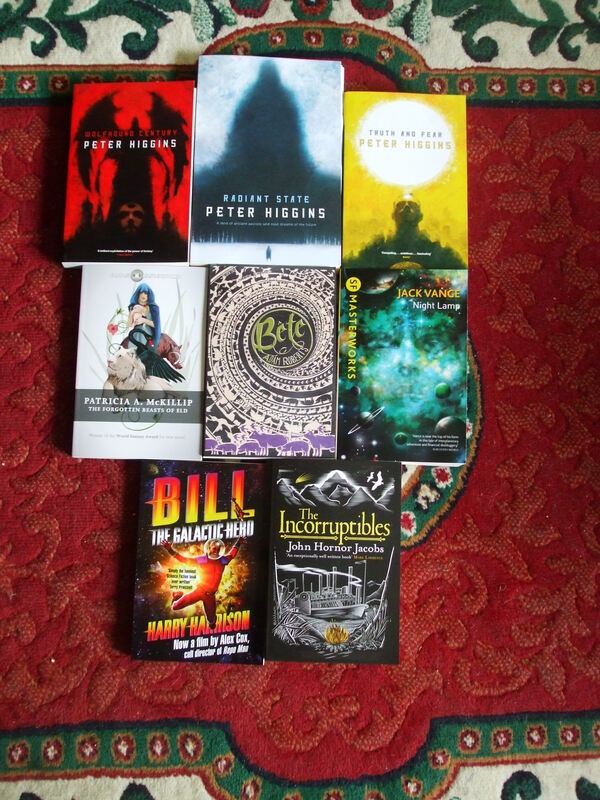 And courtesy of Gollancz, Peter Higgins’ WOLFHOUND CENTURY, RADIANT STATE, and TRUTH AND FEAR. Followed by Patricia McKillip’s THE FORGOTTEN BEASTS OF ELD, Adam Roberts’ BETE, Jack Vance’s NIGHT LAMP, Harry Harrison’s BILL THE GALACTIC HERO, and John Hornor Jacobs’ THE INCORRUPTIBLES. This entry was posted in SFF and tagged Adam Roberts, books, Gollancz, Harry Harrison, Jack Vance, John Hornor Jacobs, Patricia McKillip, Peter Higgins, pictures, Tim Pratt, Tor Books. Bookmark the permalink. ← Review copy, and news!